Well, everyone, the much-hyped new Pucatrade is here and gosh, it’s pretty. It’s also clunky and everything is in a different spot, which is never really fun. I am not yet a fan of the new layout, I feel it’s a lot of extra graphics and unneeded stuff, especially on mobile. However, I’m giving it and myself time to adjust to a new way of doing things. I’m planning on a more comprehensive review of the site and how things work next week, after I’ve had a chance to play with the settings and send out some cards. This week, I’m going over my current picks from Eldritch Moon. Normally, I don’t advocate getting cards from the set in print and is being drafted every week, but there’s a new factor: Conspiracy. 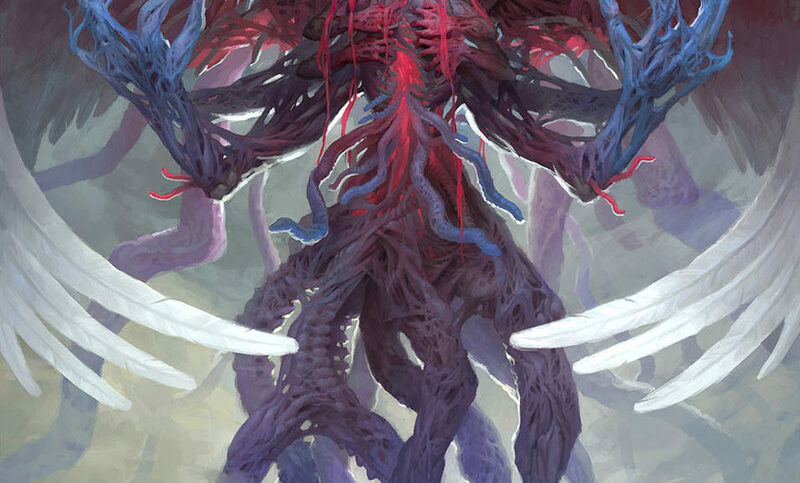 The short version is that a ton of people are going to want to draft and play and buy Conspiracy: Take the Crown instead of the usual Eldritch Moon–Eldritch Moon–Shadows over Innistrad. Plus, we have only one month until the Kaladesh prerelease! So now is the time to look at EMN cards and make some strategic pickups. On the last couple of items though, it’s hard to tell if you are advocating picking up the cards, or unloading them due to the current (in some cases mistaken) points cost. Do you think you could clarify a bit? Sigarda’s Aid is a pickup at about 600 points. Foil Splendid Reclamation is too. Generally speaking, this is listing the things I advocate picking up. There will be a section on cards I advocate unloading. But thanks for asking, I don’t mind clarifying. I almost feel like these articles should be protrader only.